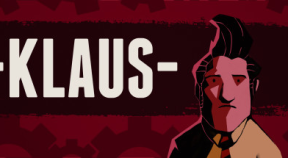 Klaus is a precision-based puzzle 2D platformer with a self-aware narrative. Its tight & challenging platforming takes inspiration from precise classics games combined with a tense and emotionally engaging story. Klaus discovers his identity while trying to escape from a mysterious basement. Through his journey he’ll discover who he is, what "Klaus" means, and how he ended up there. While jumping spikes, hacking computers and avoiding danger, Klaus seamlessly interjects with key elements of his story, which develops naturally while you play. In KLAUS, you’re not playing as the title character; rather, you’re his companion. Klaus acknowledges your presence and wonders aloud about his escape and how he found himself trapped in the first place. His personality can be volatile in vulnerable moments because Klaus has his own agenda. Oh, and Klaus might not always want to do what you want. After all, who wants to die due to someone else's mistakes? During your journey, a "friendly" guy called K1 might join you on your journey. K1 is a brawler, at least in part, and with his destructive prowess he’s able to smash obstacles and do Shoryukens without breaking a sweat. Klaus and K1 can be controlled separately or cooperately to solve puzzles, although sometimes they’ll be split apart. Each character, of course, has his own motives. Throughout the game Klaus will remember his past through interactive memories. Each memory is playable in a unique way with different mechanics than other sections of the game. Just like in real life, the dreamy worlds of the memories don’t follow the same rules of the rest of the game. Critically-praised non interruptive narrative. The story unfolds while you play.